Dr. Maisha Wester holds a B.A., M.A., and Ph.D. in English from the University of North Florida, Jacksonville as well as the University of Florida, Gainesville. 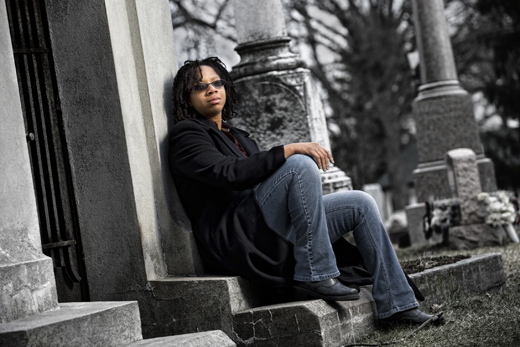 Her primary research interests are African American gothic literature and horror films, "specifically as the tropes mask horror over racial, ethnic, and sexual others." She is currently an Associate Professor at Indiana University Bloomington in the African American & African Diaspora Studies department who has taught and lectured across the country. She has written and presented her research on the work of Eli Roth, Toni Morrison's Beloved, 2005's The Skeleton Key and much more. All with a focus on Black female representation, history, race, class, and feminism. Additionally, Dr. Wester is the author of African American Gothic: Screams from Shadowed Places. Wester argues that the "African American Gothic reveals the myriad ways African American writers manipulate the gothic genre to critique traditional racial ideologies" and "serves as a useful vehicle for the enunciation of the peculiar terrors and complexities of black existence in America." Sharon Chandler (@SharonDeniseAmy) on Twitter notes that as a former student of Dr. Wester's, she "really makes you think about the Africanist presence is used in horror." Further, "she introduced me to the idea that Birth of A Nation, the original silent film, is actually a horror film," noting that the context of horror from the perspective of African Americans is much more expansive than the demonstrated mainstream fare via the Hollywood popular imagination.